Preheat oven to 350 degree f and spray a small glass container. I used a 7x 5 x 1.5 inch glass container. Set aside. 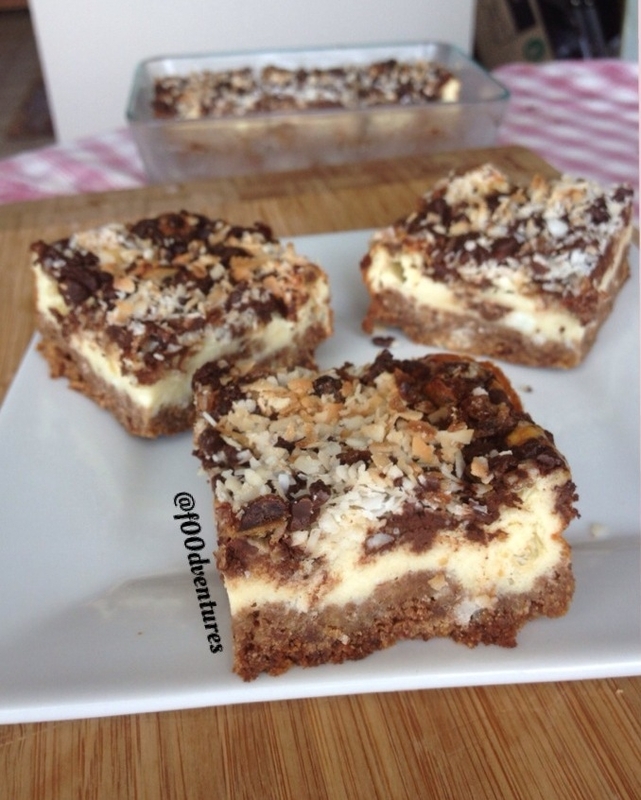 In a small bowl combine ingredients to make the protein cheesecake filling. Whisk well until super smooth and free of lumps. Set aside. In a larger bowl crush graham crackers and mix in the caramel. Mix until graham cracker crumbs are moistened and start to stick together. Press mixture into the bottom of your glass container. Pour cheesecake filling on top. Sprinkle half of your date crumbles, chocolate chips, and coconut on top. Repeat. Bake for 30-35 min until cheesecake mixture is fully cooked. Let cool overnight (or a couple hours) then enjoy.